The Chewnoodle is a great tool for your oral sensory needs. 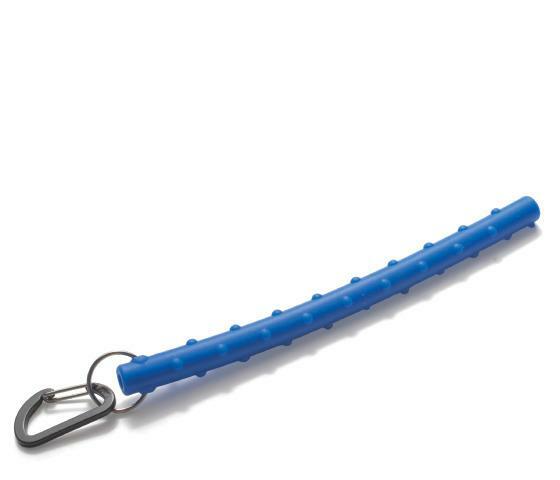 The Chewnoodle component is made up of a non toxic silicone tube, eight inches in length and 1/2 inches in diameter. 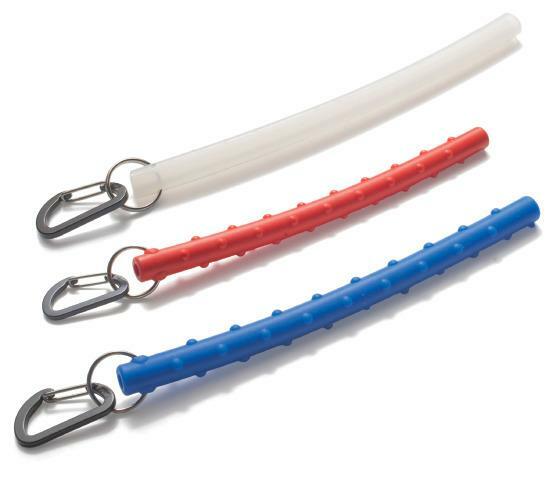 Chew on the move with this clip-on tube, it is a great tool for your oral sensory needs. Made up of a non toxic (FDA Approved) silicone tube and attached to a lightweight aluminum carabiner. It is very resilient and stretchable, therefore making the material a perfect tool for chewing needs. It is easy to care for by hand-washing with warm soap & water or an occasional wash in the top rack of the dishwasher is fine too. The bumpy texture and bright color of the red and blue noodle is eye-catching and an excellent chewable hand-fidget for individuals craving sensory input. 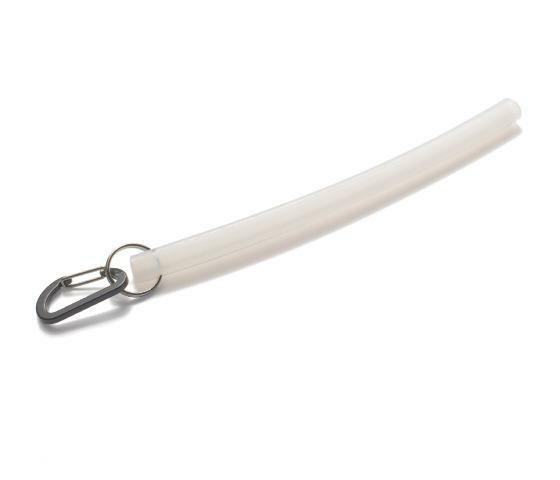 For those who don't enjoy the bumpy texture, the white Chew Noodle is a great alternative. *Use with adult supervision. Made in USA NOTE: Chew products are not returnable. Made of non-toxic FDA-approved silicone, the Chewnoodle is a practical and convenient oral tool that aids in chewing self-regulation and jaw muscle strengthening. Comes with a lightweight aluminum carabiner. CPSIA Compliant. All Chew Noodles should be used with adult supervision. Dimensions: L: 8" x W: .5" x H: .5"